Many of us were raised to believe that our lot in life is pre-destined even before our births. Nothing could be farther from the truth. Each one of us - no matter where we were born or raised - has a God given potential to succeed, prosper, live an abundant life, and impact the world for Him. We can change our circumstances and situations by tapping into that potential. We are not destined to be poor, sick, and broke, or to always struggle in life. God created everything in abundance even before He created mankind. Whatever your current station in life is, Thinking into Prosperity is for you because there is always room to ignite and expand your mind to reach for the fuller life that you were created to live and enjoy. It is impossible to put this book down and return to your old life. 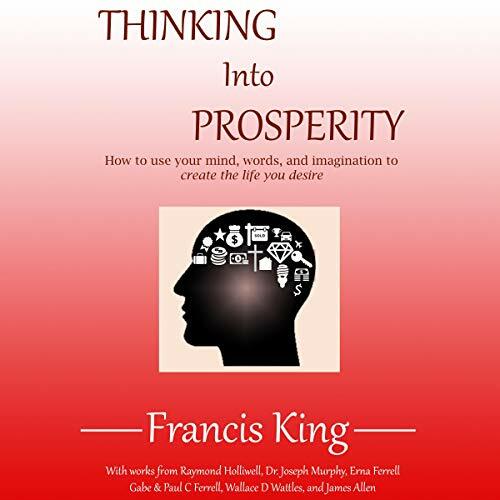 You will never be the same again after listening to Thinking into Prosperity. This book has so much life changing information. We have been told for so long that it is wrong to want to prosper, but our Heavenly Father wants us to live life to the fullness of His glory. We are born with much talent, but we usually bury it in the ground feeling guilty for wanting more out of life. Display your God given talents, achieve your God given dreams, enjoy this God given life. Those are some of the messages contained within this book. If God no longer had use for you, you wouldn’t be breathing. As long as you have breath in your lungs, pursue and achieve your dreams. You can do anything that you set your mind on. I loved this book and will be listening and reading it as I progress with pursuing my dreams and desires.